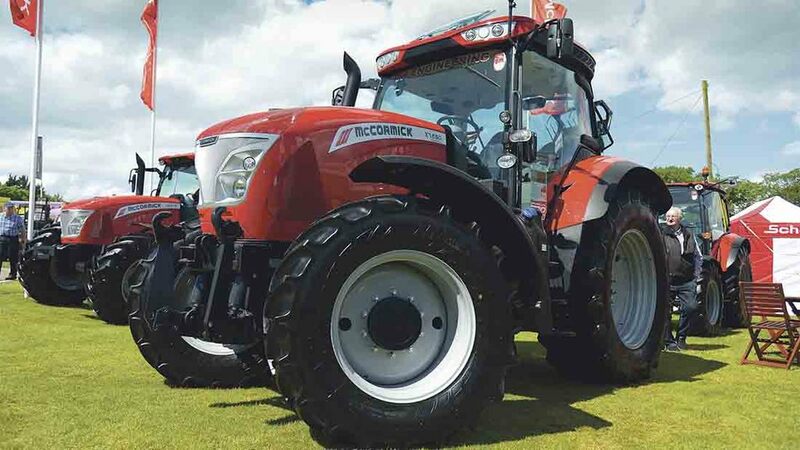 Catering for farmers and contractors who prefer a simpler specification than the firm’s current full-spec X7 Pro Drive tractors, now identified as Premium models, McCormick has launched Efficient versions of the X7. All three, four-cylinder X7s with 143hp, 160hp and 175hp (maximum power), along with selected six-cylinder models, including a new 152hp-rated version, will be available as Efficient spec. The most notable differences can be found in the cab which sees armrest controls moved to a fixed console mounted on the fender. Gear pump hydraulics are standard delivering up to 88-litre/min, but for more demanding applications, a piston pump system can be specified (standard on six-cylinder Efficient models) with up to 123-litres/min output and a separate 44-litre/min pump dedicated to steering and auxiliary systems. Prices start at £71,779 for the X7.440 Pro Drive Efficient.